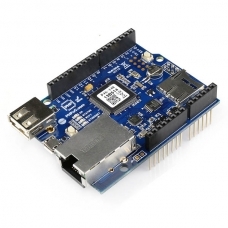 PHPoC Shield for Arduino connects Arduino to Ethernet or Wi-Fi networks. 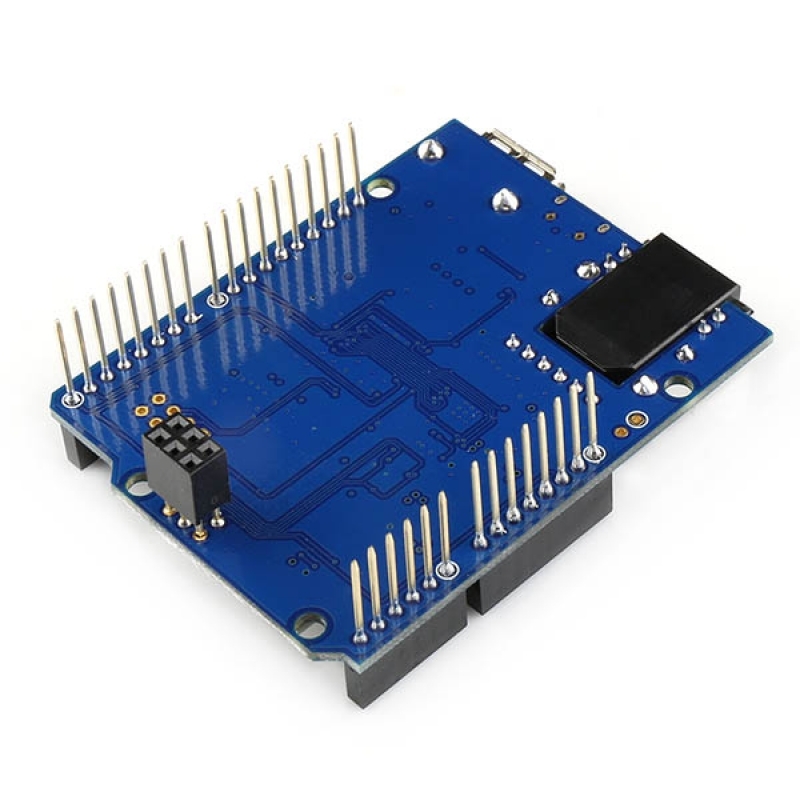 Attach this board over Arduino and connect a LAN cable. After a simple network setup, Arduino is connected to the Internet. To use a wireless LAN, connect to a WIFI dongle. The network function of this shield is based on the TCP/IP stack using PHPoC interpreter. The shield can be easily accessed by Phpoc Library. 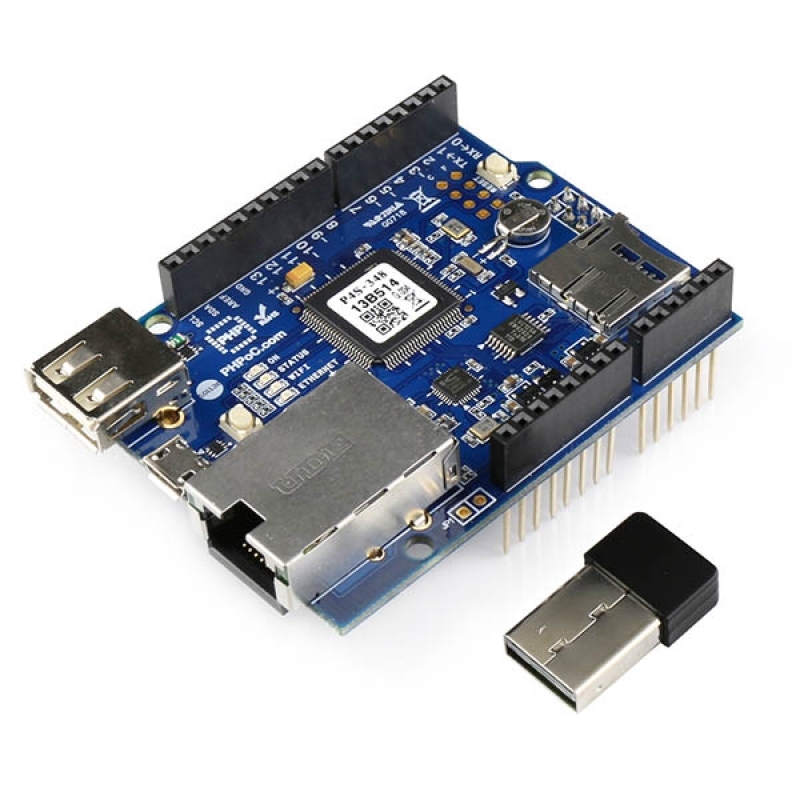 Phpoc Library is very similar to the usage of Arduino Ethernet library or WIFI library. Therefore, source codes using existing Ethernet library or WIFI library can be used immediately after modifying just few lines. It will surely reduce trials and errors of users with the previous experience using Ethernet shield or WIFI shield. Furthermore, Phpoc Library has a wider range of applications since it supports a variety of API absent from the existing libraries. Especially using HTML5 websockets, users can create real-time web-based applications very easily. 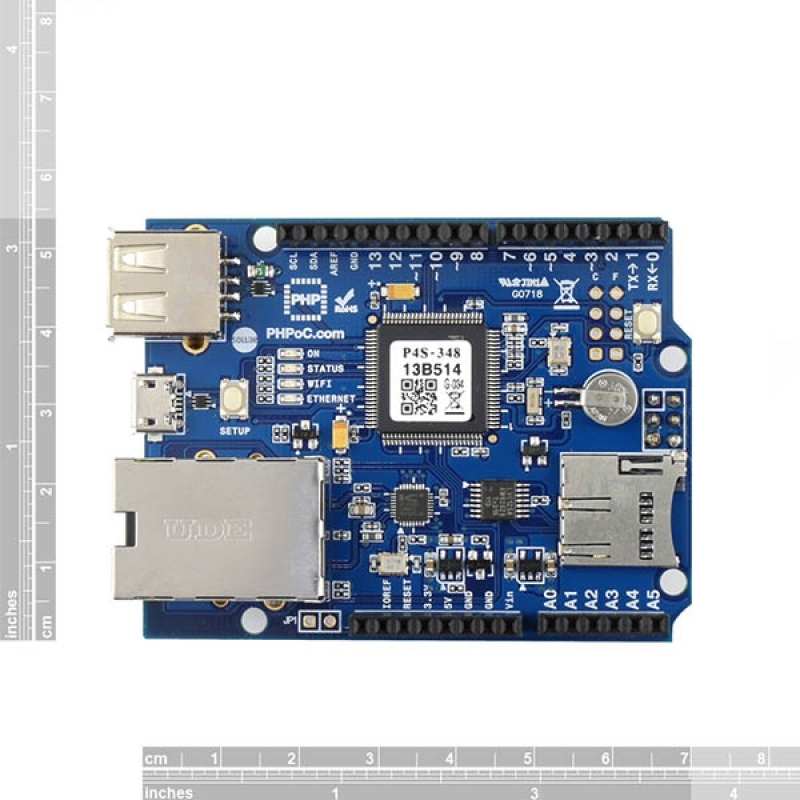 PHPoC shield is equipped with both wired and wireless LAN functions, providing various network functions according to your environment, bring a Arduino to Internet, spreading Arduino's voice to unlimited distance. In addition to the network function, PHPoC shield supports a wide range of API. In particular, a built-in web application provides easy web applications control and network setup. Also, you can monitor the output of Arduino serial monitor via Web from a remote location in real time.